That’s just about the sweetest tribute I’ve ever read and Sen. Flavier truly deserves it. Aaaaw, he’s such a teddy bear. I saw you posing for the pics above on tv last night. Just by looking at both of you, it’s obvious that you have a special respect and understanding for each other. I’m sure he’ll miss you just as much! Aww that’s was a heartwarming read. 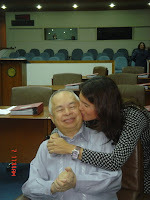 I miss my dad a lot and so I have a soft spot for men around the age of my dad (75 years old). 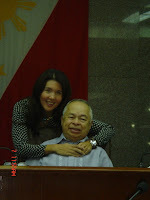 Senator Flavier has always been one of my most favorite public servants. In him I can see the true goodness that comes from the heart of a Filipino, the love he has for his country, and the passion he has to serve the good of The Filipino People. awww! you just confirmed to us how beautiful person sen.flavier is. i’ve always looked at him as someone as straight and sincere senator. filipino people will surely miss him. That was a sweet tribute indeed.Ãœ Very timely for Father’s Day as well. I shed a tear while reading this post. I will miss Senator Flavier too if I were in your shoes. 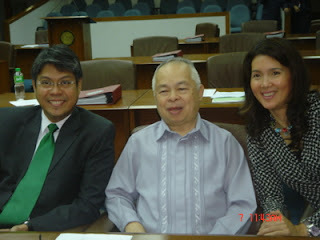 I have always liked Sen. Flavier. He is funny, practical, down to earth, honest and so fatherly. This is a most beautiful tribute to him. If only there were more senators like him. He is truly a BIG little guy! Thank you very much for such a wonderful tribute! 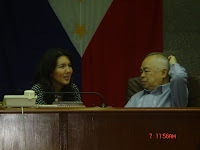 From the very start, I really like the vibes of Senator Flavier. I read an article once about him and his quips and laughed with him. It is said that the truly wise have the courage not to take themselves so seriously. May the likes of the honorable Senator Flavier multiply a thousandfold! 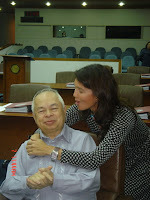 two of my greatest influences in 1 blog.. you and senator flavier! i was and still am a big fan of the DOCTOR TO THE BARRIOS! 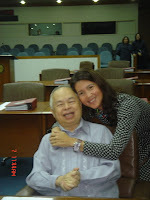 i too want to be a doctor to the barrios, senator flavier is such a great inspiration. and you greatly inspire me..
you are a woman, a mom, a friend, a sister, a daughter and a senator.. and all these you do great.. no mediocrity!! you are the epitome of woman of action and woman of courage! 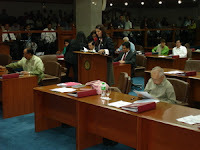 both you and senator flavier give the senate a good name..
unlike every other politician on the mainstream TV who are SELF-SERVING thinking of you both gives true meaning to PUBLIC SERVANT..